KRQE-TV recently debuted its new set and HD graphics package after a month of teasing. 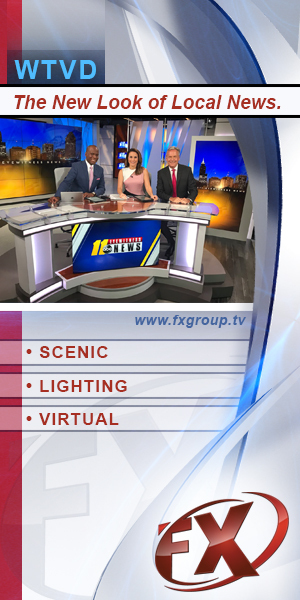 The new set, designed by FX Group, features rich earth tones and many technology elements including a vertical plasma behind the main anchor desk. “FX designed built and installed KRQE’s new HD studio set. Our team also provided the lighting gear package tailored to their new lighting design,” said Kathy Mosher-Boulé of FX Group. View more in SetStudio and in the Graphics section.